Update as on 1430 Hrs: All 21 bodies have been shifted to mainland by Jet Airways and Spice Jet. Sixteen bodies have been shifted to Chennai. The bodies were accompanied by the Secretary of Port Blair Municipal Council, Sheo Pratap Singh. Meanwhile three bodies have been shifted to Mumbai via Kolkata and one to Delhi via Kolkata. Port Blair, Jan 27: As of now 29 people have been saved while 21 have been confirmed dead. Latest report adds that two more bodies have been sighted. Recovery process of the two bodies is still on. Three bodies have been shifted to Chennai this morning. 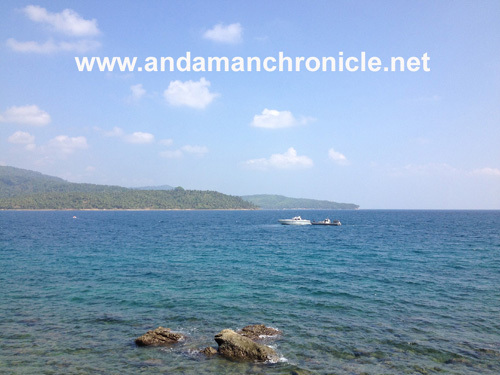 Meanwhile, the Director General of Police, Sudhir Yadav IPS while talking to Andaman Chronicle informed that a Jaguar Boat of the Port Management Board got the information about the accident at 1550 Hrs. and the first Police Boat Sher Ali could reach the accident spot at 1610 Hrs. DGP Sudhir Yadav further said that according to survivors, the tourist Boat 'Aqua Marine' had left from Ross Island at 1530 Hrs. While Andaman Chronicle gathered from one of the Survivors Mr. Tyagarajan R/o Kanchipuram Dist., Tamil Nadu that the accident took place before 3.00 pm. Meanwhile, soon after the accident (the timing of which is estimated to be around 2.45 pm, as per the locals and fishermen present on the shore, Dignabad area), the locals and fishermen had taken out their country boats and immediately got involved in the rescue operation first.